Over the past few years, there has been an explosion of markets popping up in and around Cape Town. Locals and visitors alike are absolutely spoiled for choice on a Saturday morning and even other days of the week. Markets selling delicious food and artisanal goods can be found anywhere from wine farms to old fish factories. With so many to choose from, how can you choose? We’ve rounded up a list of the best markets to visit in and around Cape Town with some brief descriptions to help you make your choice. 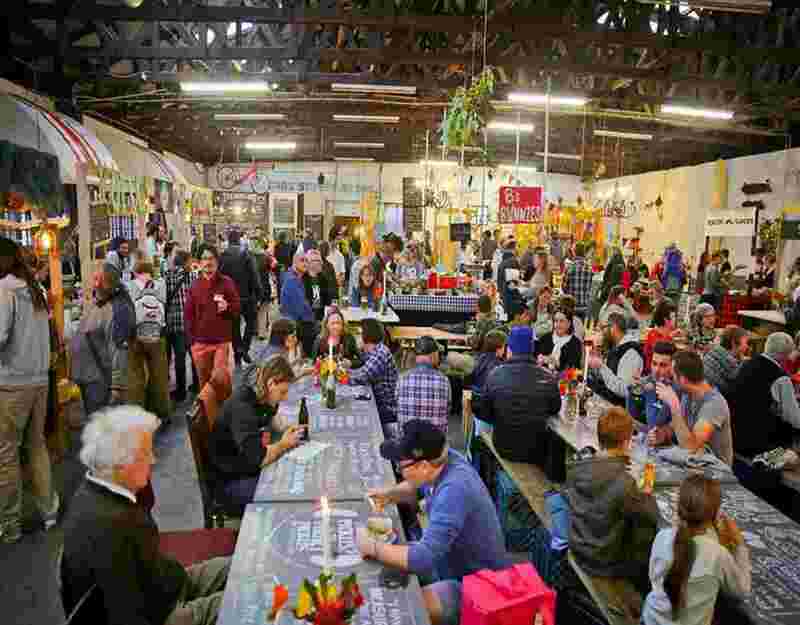 Cape Town’s most vibrant market is situated in Hout Bay in a small fish factory were people meet on the weekend to come together, have a delicious meal or even dance to live music. People of all ages, visitors in Cape Town and local people enjoy the lively vibe at this market. When entering the “factory” you will find colourful shops or stalls with local products, clothes, treats and jewellery, it leads you then to the hall with a huge variety of food and bars. You can decide between delicious pizzas, soups, wraps and much more, or even something sweet like waffles or cakes. It’s a great market to visit when having a few days in and around Cape Town. 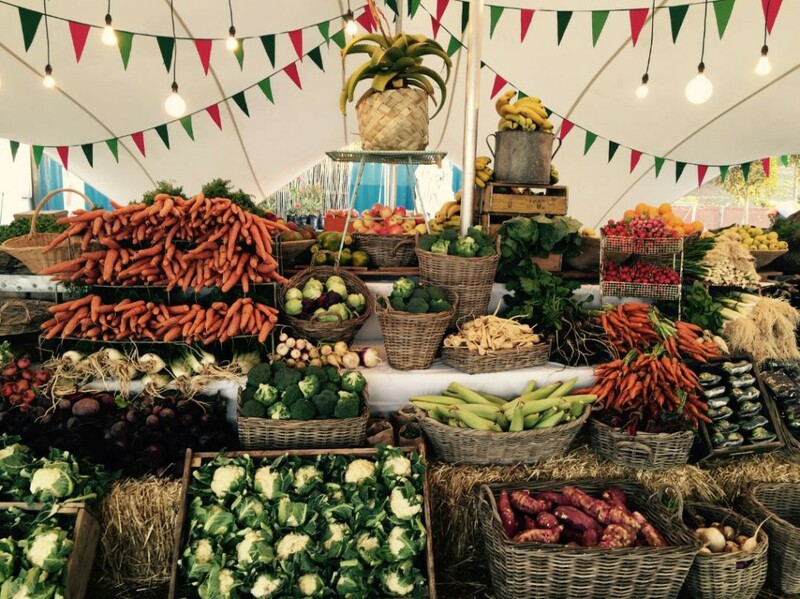 The Oranjezicht Farm Market is an organic vegetable and artisanal food market with an ocean view, at Granger Bay at the V&A Waterfront and is held every Saturday and Sunday. Expect to see lots of people in athleisure as they have probably just finished their morning run or gym session. Breakfast options are simply divine and the Sababa Shakshuka is especially popular. The health freaks do their weekly shopping here sourcing fresh organic veggies and artisanal gluten-free treats. Additionally, customers can order a weekly Veg Box or Fruit Box in different sizes. They also started the project “weekly lessons – pilot programme” where once a week children from school are coming to learn more about organic farming, composting and healthy eating. 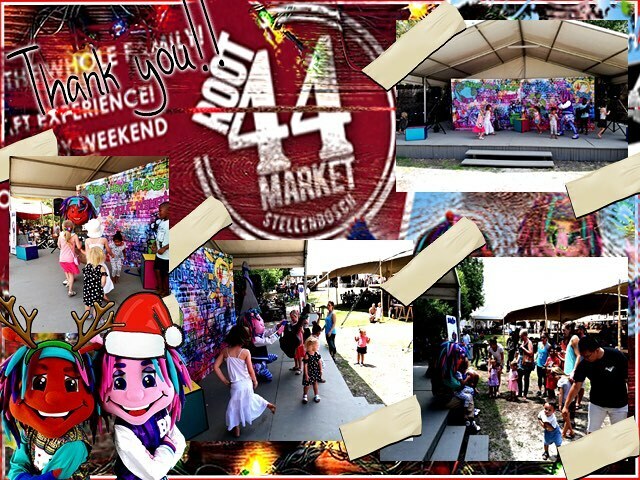 Route44 Market out in the winelands is a great outing if you find yourself in Stellenbosch! This market is special because it is surrounded by gorgeous vineyards, mountains, and tall trees. Have a look through all the different shops which offer a variety of clothes, homeware, jewellery and antiques or listen to the funky live entertainment with a craft beer or local wine. The craft beers and all the delicious food will full leave you full and satisfied. This is one of the only markets in Cape Town that is open 7 days a week, and even has live music every evening. Take the opportunity to indulge a wide range of food and drinks from 30 different food vendors in one hall, including an oyster bar! Choose any day of the week to visit this lifestyle market found on Seapoint’s main road. Mojo Market also has a range of designer shops which are open till 6pm. In the morning, there is an Early Bird Breakfast starting from 8am. Neighbourgoods Market in Woodstock is also known as The Old Biscuit Mill and this is the one that started it all. The original weekend market is probably the most popular which means it can also be the busiest. 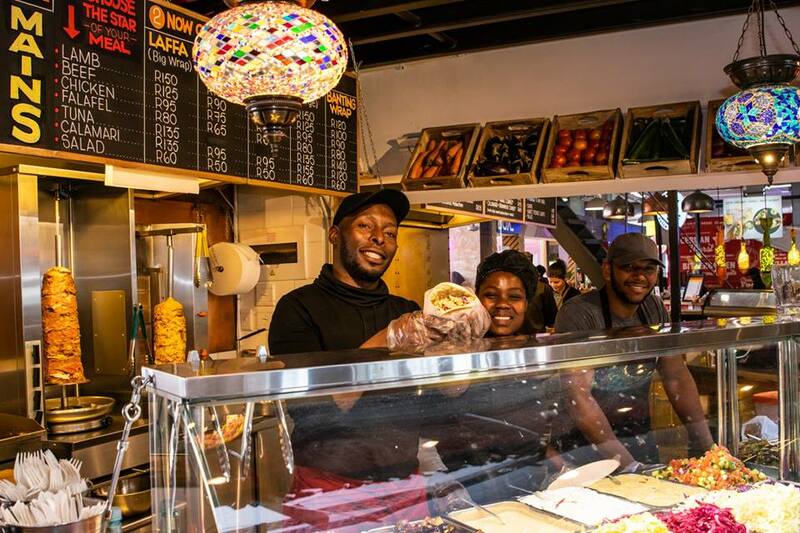 At the market you can enjoy all different types of food, starting from Vegetarian, Vegan, Gluten and Sugar free, Lactose Intolerant to Raw and Organic food. When you enter the food market you will be impressed of the huge variety of delicious food and drinks and maybe can’t even decide at first what you are going to eat, but that’s part of the fun! 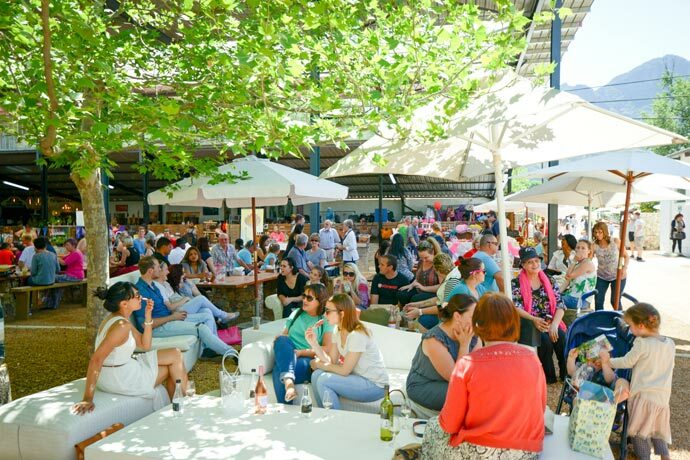 Sitting outside or next to the food vendors and listening to live music makes this market incredibly vibey and many consider it a must-do in Cape Town. There are also special events during the year such as the Gin&Tonic Festival and Sunday Editions with special DJ’s and Bands. Join the vibrant market at Somerset West to have some delicious food and to stroll along all the shops and pop-up stores. You will find high quality products which are handmade in Africa and organic food of different varieties. Next to the Lourensford Market is a MOTOR Studio which has the most amazing luxury cars. 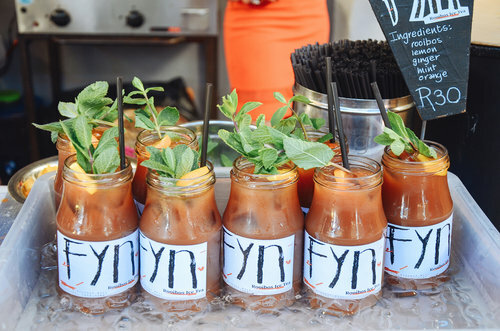 “Friday Night Twilight Market” has become the spot to be for after work drinks. Stop by on Sundays to relax with live music by local artists. Moreover every first Friday of each month you can celebrate with Cape Town DJ’s on the dance floor – check out #FirstFriday and celebrate the weekend! This community market is located on a beautiful vineyard with a stunning view that stretches out to the ocean. Every Thursday people end their day at this market in beautiful surroundings, enjoying incredible food and a glass of wine or beer. Decide between options ranging from local fare to vegan meals. The venue is also a good place to visit during the week for wine tasting, dinner or different kinds of celebrations such as weddings, birthday parties or New Year’s celebration. 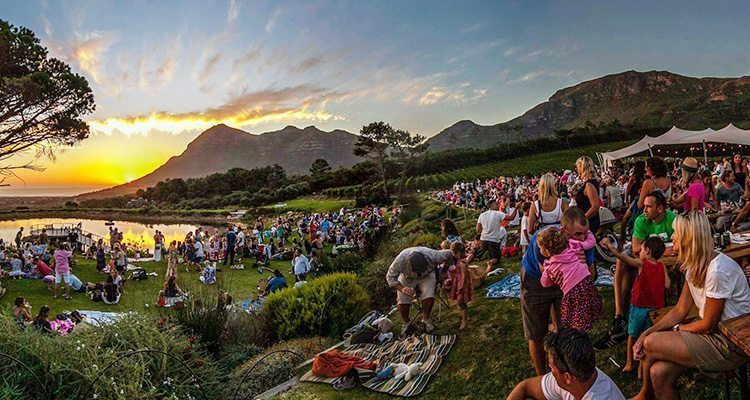 It’s possible to make a whole day out of a trip to the market at Vergenoegd wine farm by indulging in wine tasting, doing a family run, enjoying a picnic and some kiddie friendly activities. Have some delicious food while tasting a range of wines on a historic wine farm. 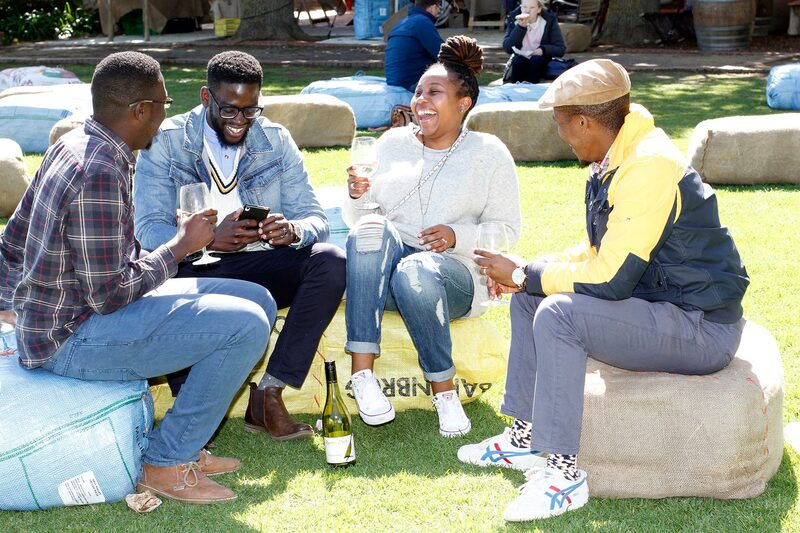 You can book in advance for different wine tasting options, like wine and nut pairing or for a picnic with your family and friends. A special highlight is the famous 1000-strong Runner Duck Parades at 10:30am, 12:30am and 3:30pm where you may also feed the ducks! Children will enjoy the market, because there are lots of activities like outdoor games, giant chalk boards, cookie decorating and a firm favourite among all young Duck Fans, meeting the duck herders and the ducklings. 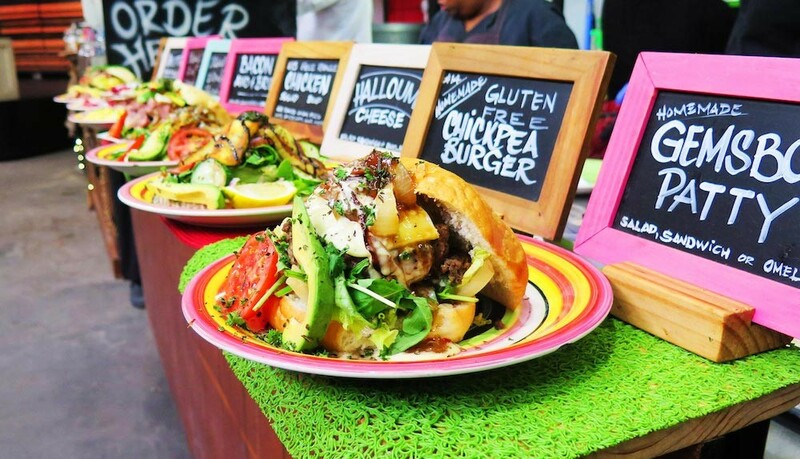 This market is a must see in Muizenberg – the Blue Bird Garage Food & Goods Market! Enjoy a Friday night with delicious food, craft beer, South African wines, live music from local artists and creative kids area. Peruse the vintage stalls and enjoy the vibe of people sitting at long communal tables getting together on a Friday night. There are some special events each month, so have a look on their homepage or on Facebook.